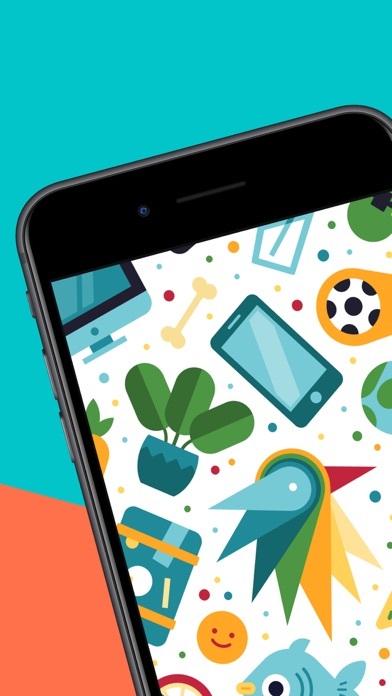 Assembly - Art and Design App Data & Review - Productivity - Apps Rankings! Create logos, icons, illustrations, and more using powerful, easy to use features usually only found in professional desktop software. Assembly is the revolutionary vector design tool that lets you imagine and produce quality work in half the time. Skip the sketch book and rough out designs by quickly combining predesigned elements. From basic primitives to ornate illustrations, cut, combine and intersect shapes creating complex groups of graphics. Dive a layer deeper to manipulate your designs further with the powerful point editing system using industry standard bezier curves. Get professional results using powerful tools found in high-end graphic design suites. Design quickly and easily using a simple interface that provides only the features you need as you need them. Output in high resolution JPG and PNG as well as popular vector formats SVG and PDF. Powerful yet intuitive, Assembly is the perfect creative tool. Simple professional vector design for artists of any background or skill level. Just the tools you need without all the bloat you don’t. Design anything, anywhere. Assembly Pro is an auto-renewing subscription service that gives you professional features that will take your work to the next level. You can get Assembly Pro for free for 7-days with a free trial. After the free trial you will be automatically renewed to the weekly subscription which you can cancel at any time. The paid subscription costs $2.99 USD per week for the weekly plan, $4.99 USD per month for the monthly plan, and $29.99 USD per year (50% discount off the monthly plan) for the yearly plan. Prices are subject to change. Assembly Pro automatically renews unless auto-renew is turned off at least 24-hours before the end of the current period. Your account will be charged for renewal within 24-hours prior to the end of the current period. Payment will be charged to your iTunes account at confirmation of purchase. You may manage Assembly Pro subscriptions and turn off auto-renewal by going to your Account Settings after purchase. Any unused portion of a free trial period will be forfeited when you purchase a Assembly Pro subscription. 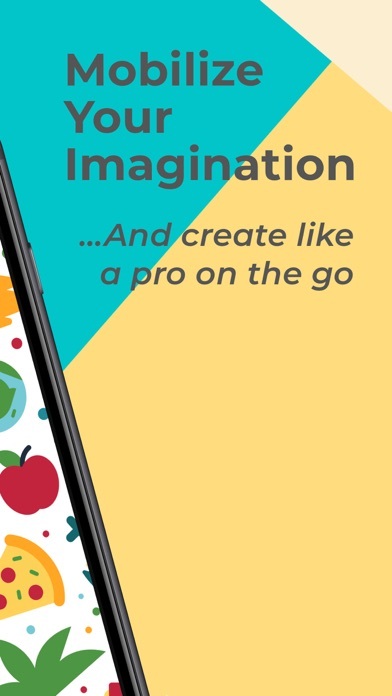 The applications Assembly - Art and Design was published in the category Productivity on 2015-10-09 and was developed by Pixite LLC. The file size is 158.41 MB. The current version is 2.0 and works well on 11.0 and high ios versions. Lots of bug fixes and performance improvements. As always, if you love Assembly please write a review! Do you like Assembly - Art and Design applications? Please share! This is amazing you get so many shapes. Would highly recommend this to anyone looking to tinker around with ideas and especially logos. Very intuitive and easy to also has ver advanced features when needed. The App looks like it is very powerful but you need to pay a lot of money to do anything. Can’t even add text on the free trial. Ripped off and billed twice at once charging me $7.98 instead of $3.99 Sub cancelled. You lost my business! 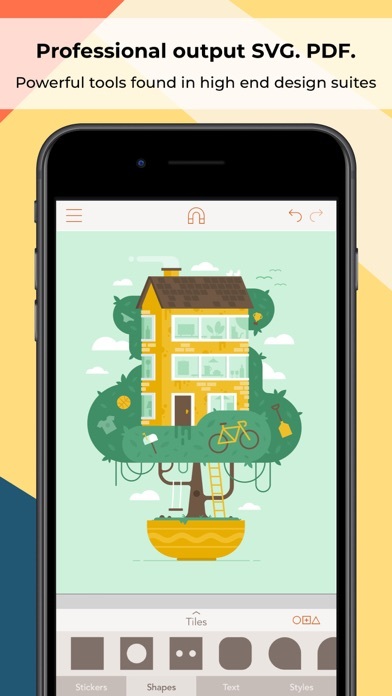 While the concept of “art by collage” is fun, and the artwork produced cute, having to pay a subscription fee to such an non-essential app is just ridiculous. Compare this with the one-off fee of $50-$80 charged by professional art & design apps, and it’s a no-brainer: straight to the trash. Great App. 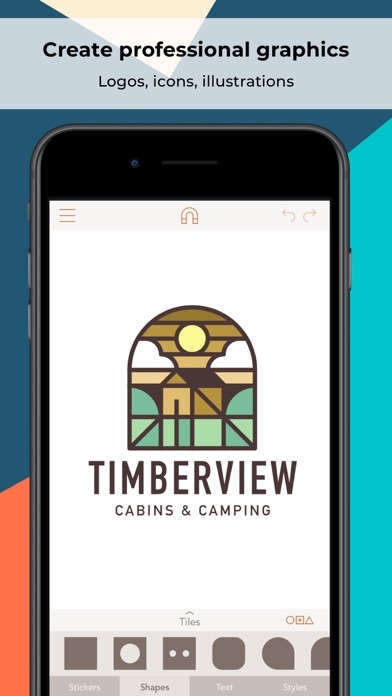 This App came to my rescue when I needed something simple to whip up a company logo. Brilliant and fun to use! Scrolling through the App Store are and I see an interesting app. It’s sooooo good!! I personally love stickers and the amount of sticker that come with this is absurd, and the concept of an app like this is amazing and is executed very well. Props to the developers! 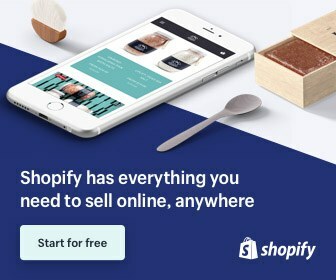 Looks great, but without the subscription it’s just a series of pop-up adds for the subscription. Being a software developer by trade I appreciate a well designed and easy to use tool like this. 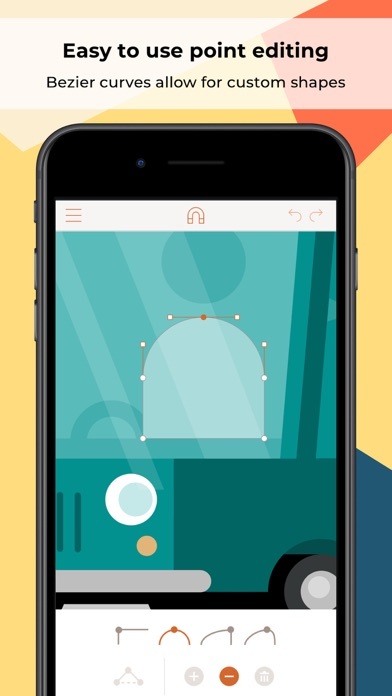 Great for generating web and general app graphics. This app is fun, versatile, creative and above all easy to use. 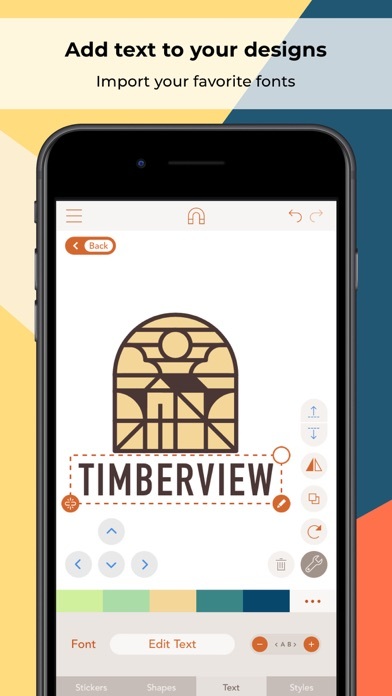 From logo and graphic design to diy emoji it is fab! This app is amazing! It really is as good as it claims, although you need to pay for some stickers, that is the only problem. Amazing app. I struggle with getting my creativity across quickly enough using technology. This app is one of the few creative apps that just makes sense to me in a way that makes me as comfortable to use it as I am with my markers and paper. I am using it on my phone, I imagine it's even better to use on an iPad. I haven't tested it yet. But seriously, if you're an a strong independent artist and don't need no computer tellin' you what to do (a.k.a a stubborn artist like me) this app is insanely user friendly. Assembly is great for fooling around with when you 10 minutes downtime. Just let the creative juices flow and before you know it you've designed yourself a cool new t-shirt or avatar. Love it! Great app for making posters etc. much better than any other apps I have ever used and unlike some other apps you don't have to pay to save or share what you have made. One thing that could make it better was if you could add text. Overall very good indeed! Real creativity at your fingertips. What's Appening? This is a brilliant app and just what I've been waiting for. It gives even the least artistically abled people a real leg up when it comes to creating something beautiful and useful. I've already designed a logo with it and several cool designs. My only gripe is that grouped shapes can't be flattened to form a cohesive shape which will generate an unbroken shadow. I made a bespoke shape made up of lots of smaller shapes and while I can change the colour fill, if I use the stroke or shadow functions, the separate shapes be some visible. If a 'flatten grouped shapes' function were introduced, this would have received full star marks from me. As it is, it's still my favourite app of the year.